ROTATE Birger Christensen's black jumpsuit fits this season's '70s mood perfectly. 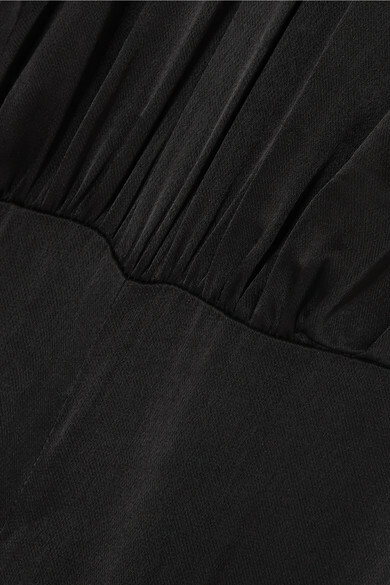 Cut from fluid satin to skim your frame, it has a gathered halterneck and flattering wide-leg silhouette. Highlight your shoulders with swept-back hair. Shown here with: Aquazzura Sandals, Attico Belt, Alessandra Rich Earrings, Alessandra Rich Earrings.